A Japanese firm is eyeing to extend weekends for employees to three days as the country begins to reconsider its harsh culture of long working hours. The move follows a recent investigation into Dentsu Inc. Japan’s biggest advertising agency, where a 24-year-old female worker put in more than 100 hours of overtime in one month and committed suicide. Dentsu’s president resigned earlier this month as a result of the tragedy and the company has introduced new measures to cut down on hours spent at the office, like switching off the office lights between 10pm and 5am. Furthermore, Japan Post Insurance Co reportedly vowed to turn their lights off in its headquarters at 7.30pm and Suntory Holdings Ltd is expanding its work-from-home program. While Japan’s official working hours are similar to the majority of the world’s 40 hours across five working days, government research shows staff at around a quarter of Japan’s companies clock up 80 hours of overtime a month, and a fifth of country’s employees face the risk of death from overwork. “[Japan needs to] end the norm of long working hours so people can balance their lives with things like raising a child or taking care of the elderly,”says government spokesman Yoshihide Suga. Finally, in February government and business groups will introduce a ‘Premium Friday’ campaign, to encourage companies to let their staff leave early on the last Friday of every month. 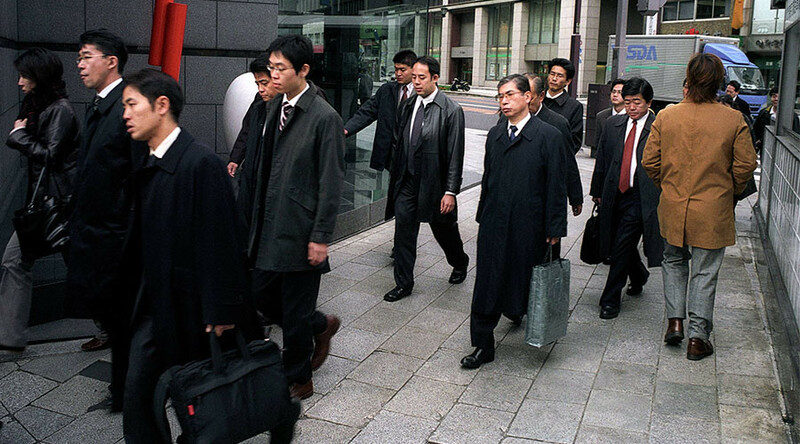 “Companies went through cost-cutting, and what’s now left at the core is the remaining workers who are overloaded,” said Martin Schulz, senior economist at Fujitsu Research Institute in Tokyo to Bloomberg. “Companies are now seeking ways to boost productivity, the best results in the best amount of time,” he added.